This month’s selected Classics Critiqued is a post-punk masterpiece that has bemused and divided critics and music fans alike for over 30 years. The Pop Group a four piece from Bristol consisted of Mark Stewart (vocals), John Waddington (guitar), Garth Sager (guitar/occasional saxophone), Simon Underwood (bass) and Bruce Smith (drums), what their line-up lacked in originality was made-up by the melting pot of influences they utilised. An (almost) completely untutored musical collective (Waddington the only trained musician) they burst onto the music scene and made the cover of the NME before they’d ever released a single. Yet the best was still to come as the band cooked up their début album with British dub producer Dennis Bovell. 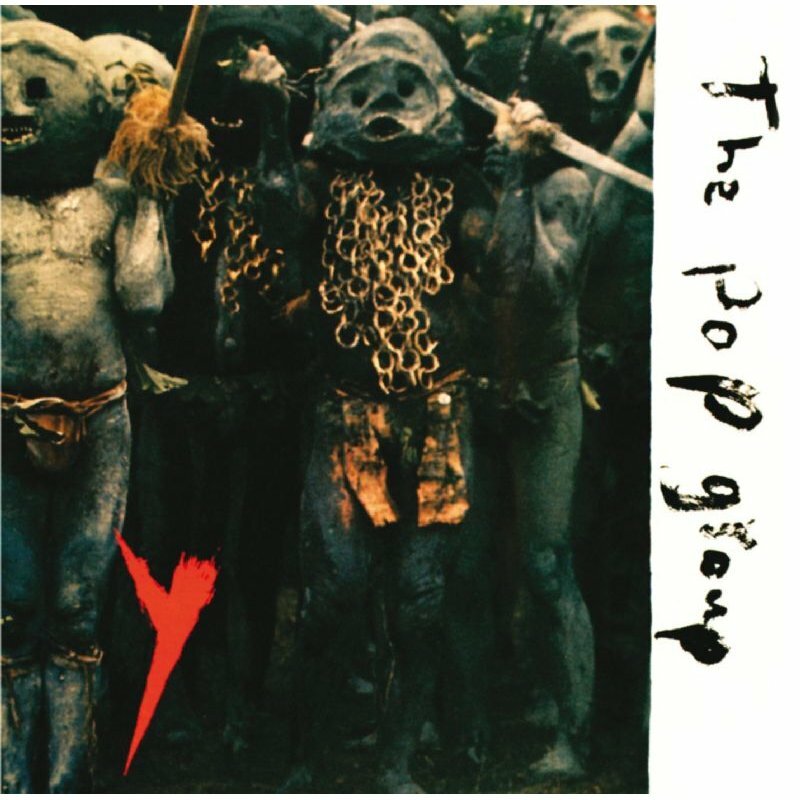 With all these elements flying around the mix The Pop Group needed a steady hand to guide them through recording ‘Y’, someone who understand the band’s hybrid sound and could translate their chaotic live sound into a cohesive and more palatable one on record. Dennis Bovell an experienced British dub producer who also love rock music and had a good grasp of jazz was the man given this job. Bovell recalls the band “were loose and they needed to tighten up. In their own right they’re all great musicians… The thing that was not together about The Pop Group was the guitars. And then Mark Stewart would drift across the frame of the thing. And being near to a seven-footer, and having that kind of voice tone that commanded, ‘You will listen to me’… those were the elements that made it very interesting and made me want to do The Pop Group.” Despite this enviable task the album is incredible well produced harnessing the band explosive grooves and allowing the ‘free’ elements space to roam but not meander. The dub influence is employed throughout but sparingly with the use of space and reverbs, delays and a deep throbbing bass sound the key examples. Bovell even went as far as describing “Simon Underwood and Bruce Smith, they were the Sly and Robbie of the post-punk period – tight”. Such is the uniqueness of The Pop Group’s fusion of disparate genres that there aren’t any bands/artists that could be said to have been directly influenced by the band. In fact, whenever a new band emerges who take on post-punk influences they roll out the same familiar names Gang of Four, Talking Heads, Public Image Limited and Joy Division, The Pop Group never seem to get a look in. However, they have indirectly influenced and had a hand in the creation of the Bristol trip-hop sound. Stewart lived with and mentored Tricky helping him create his first demos and début album ‘Maximquaye’ and was friends with Daddy G of Massive Attack (he is mentioned in the sleeve notes of ‘Blue Lines’ and worked “behind the scenes on “Heligoland”). Another band who Stewart is friends with in Asian Dub Foundation who’ve fused drun’n’bass, dub, hip-hop, Indian music and rock for 20 years and could be seen to carrying the torch that The Pop Group lit with ‘Y’. More recently Italian dance duo Crooker’s remixed the band’s 1979 single ‘We Are Prostitutes’ to much praise from Stewart. This and the rapturous response to the band reformation last year, show this is a band that are still very relevant and may yet produce another incredible statement. Watch this space.